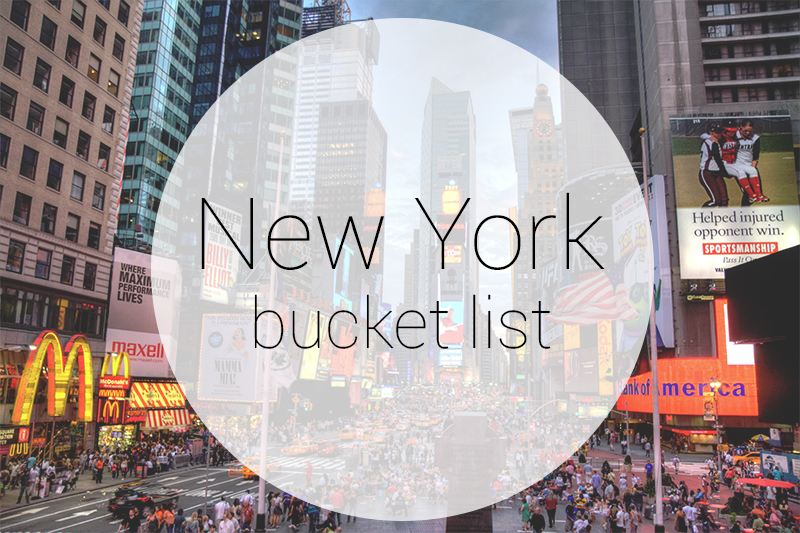 I mentioned in The Weekend Blog that my parents and I have booked a little trip to New York in April. It’s my first time in America, so naturally I’m going to be excited about EVERYTHING. And I know that everything on my list is super touristy but it’s a long way to go not to do all the touristy things. However, I’m hoping to try out some nice restaurants where the locals eat, explore some of the neighbourhoods, and do lots of shopping. We’re planning on making a super detailed plan of action for each day. I don’t want to waste a minute! You’re going to have a blast! I’ve never been to NYC but I really want to take a road trip there someday! So I’m a little jealous 😉 Everything on your list sounds pretty typical except for the McDonald’s, which made me laugh a bit. I’m pretty sure they don’t do Super Sized anything anymore (unless there are some specific ones that still do it). Take lots of pictures so I can live through your trip, haha! What?! No super sized?! But it’s my dream as a Brit to order a McDonalds that wayyy too large for me. Wah! I feel like such an idiot now! Although I think a large meal in the US is still bigger than a large meal here.